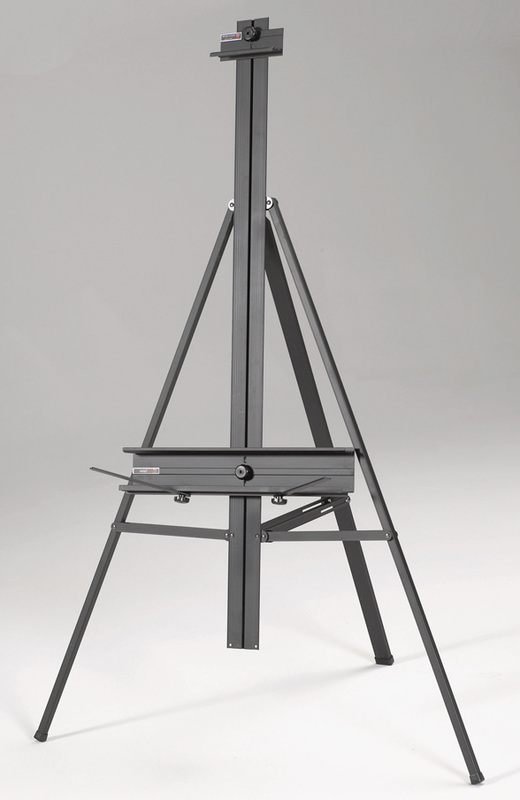 * The Weber Torino has been equipped with a unique patented mechanism that enables the easel to be folded up without removing any components, nuts or screws. * Torino is a tripod design but ties the legs together with braces to support that large artwork. * Holds a canvas up to 46 inch by any manageable length, Folds easily for portability. 52" x 5" x 3"